Product of the Week: Citrine Fragrance Oil! Product of the Week: Champaca Blossom Fragrance Oil! Product of the Week: Scottish Tablet Fragrance Oil! Product of the Week: Gingersnap Fragrance Oil! Product of the Week: Mince Pie Fragrance Oil! Product of the Week: Macadamia Nut Oil! Product of the Week: Lemon Powder! Product of the Week: Fresh Hay Fragrance Oil! Product of the Week: Blue Amberwood Fragrance Oil! Product of the Week: Ground Apricot Stones! Product of the Week: Green french Clay! Product of the Week: Classique 5! Product of the Week: White Clay! Product of the Week: Warm Gingerbread Fragrance! Products of the Week: Organic, Unrefined Safflower Oil! Product of the Week: Honey Powder! Get 40% Off CP & MP Colourants at Gracefruit! Product of the Week: Goats Milk Soap Base! Product of the Week: Bay Rum Fragrance Oil! Product of the Week: Raspberry Powder! Product of the Week: OliveM 1000! Product of the Week: Fractionated Coconut Oil! Product of the Week: Rice Bran Oil! Product of the Week: Himalayan Pink Salts! Product of the Week: Candycane Fragrance! Product of the Week: Annatto Powder! Product of the Week: Jojoba Oil! Product of the Week: EasyMix Butter! Product of the Week: Coffee Butter! Product of the Week: Raspberry Seed Oil! Product of the Week: Sweet Almond Oil! Product of the Week: Sorbitol! Product of the Week: Glycerine! 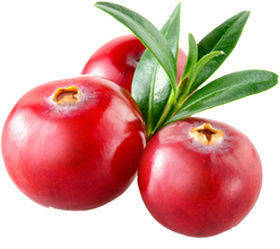 Product of the Week: Cranberry Seed Oil! Product of the Week: Shea Butter! Products of the Week: Bespoke Fragrance Service! Product of the Week: Dupe! Product of the Week: Red CP! Product of the Week: BTMS! Product of the Week: Panthenol! Product of the Week: Augeo! Product of the Week: Colloidal Oatmeal! Product of the Week: Devotion Fragrance Oil! Product of the Week: Oligoquat M! Product of the Week: Pentavitin! Product of the Week: Avocado Butter! Product of the Week - Red Embossed EcoWrap! Product of the Week - Lemon Powder! Product of the Week - Shea Soap Base! Product of the Week - Orchard Fruits Fragrance Oil! This week's featured product is just the thing for a little pick-me-up as the darker days approach - our lovely Orchard Fruits fragrance! A fresh, fruity fragrance with predominant notes of sweet dewy apple supported by notes of juicy pear, mandarin and raspberry. This fragrance is perfect for all sorts of cosmetic applications, plus it can be used in candles too! We hope you'll give it a try. Product of the Week - Clear Soap Base! Product of the Week - Citric Acid! Product of the Week - Tabac Vanille Fragrance! Product of the Week - Himalayan Pink Salts! Product of the Week - Indian Lotus Fragrance Oil! Product of the Week - Raspberry Powder! Product of the Week - Sodium Cocoyl Isethionate Prill! Product of the Week - Fine Sea Salt! Product of the Week - Dimethicone 1000! Product of the Week - Lavender, Basil & Jasmine Fragrance Oil! This week's featured product is from our latest range of fragrance oils: Lavender, Basil & Jasmine! A smooth fougere lavender with basil, eucalyptus, camphor, clary sage and rosemary supported by cedar and musk. This fragrance was one of our big summer-inspired scents, for those of us who need to unwind at the end of a long day in the sun. Give it a try in your favourite soap recipe or a nice, calming candle! Product of the Week - Grapeseed Oil! Product of the Week - Polysorbate 20! Product of the Week - Disodium Cocoamphodiacetate! Product of the Week - Macadamia Oil! Product of the Week - Emulsifying Wax NF! Product of the Week - Cocoa Butter & Iris! Product of the Week - Gracefruit® Bathsorb! Product of the Week - Gracenotes Natural Amber! Product of the Week - Cocoa Butter! Product of the Week - Wheatgerm Oil! Product of the Week - Shea Butter! Product of the Week - Apricot Kernel Oil! Product of the Week - Argan Oil! Product of the Week - Dead Sea Salt! Product of the Week - Coconut Fragrance Oil! Product of the Week - Organic Rose Hydrolat! Product of the Week - Olive Oil! Product of the Week - Almond Wax!